On March 18, Calcasieu Parish Sheriff’s Office deputies were dispatched after receiving a complaint regarding Jaron J. West, 23, 1401 N. Prater Street, Lake Charles, physically abusing an acquaintance’s two boys, ages 2 and 3, while he was babysitting them. Upon arrival, deputies learned West had struck the children with a belt and observed bruising and cuts on both children that are consistent with over-aggressive strikes with a belt. West was located the next day and when questioned by detectives he admitted to spanking the children several times on their bare buttocks and legs with a belt. 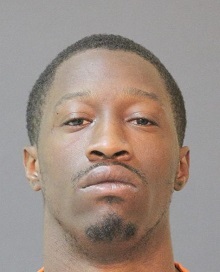 West was arrested and booked into the Calcasieu Correctional Center and charged with 2 counts of cruelty to a juvenile. Judge Robert Wyatt set his bond at $10,000. CPSO Detectives Keeba Barber is the lead investigator on this case.